Efficiency Medal (GVI. Ind.Imp.) Territorial 2034856 GNR. H.D. AUSTEN. R.A.
Obviously entitled to World War Two medals. 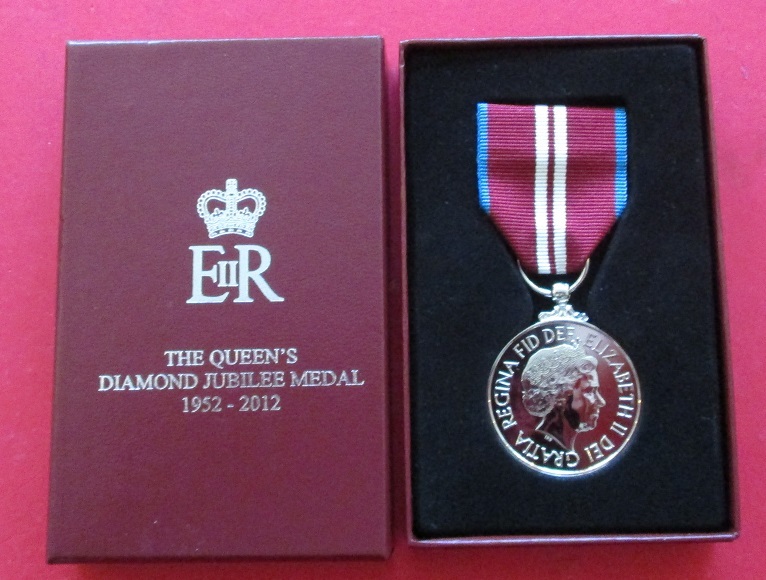 Army Long Service & Good Conduct Medal (GVI. Ind.Imp.) 1863448 W.O.CL.2. G.A. MOORE. R.E. Copy research. Enlisted Royal Engineers 1923. Lance-Corporal 1926, Corporal 1929, Lance-Sergeant 1933. Posted to 24th (Fortress) Company in Malta 1935, Sergeant 1936, Staff Sergeant and Warrant Officer class 2. Awarded LSGC in 1941. Includes photocopy of unit football team on Malta 1936 which includes Moore. Entitled to World War Two Medals. 24th Fortress Company remained on Malta until 1943 when they transferred to the UK. In 1944 they served in North West Europe (redesignated as 24th Field Company). 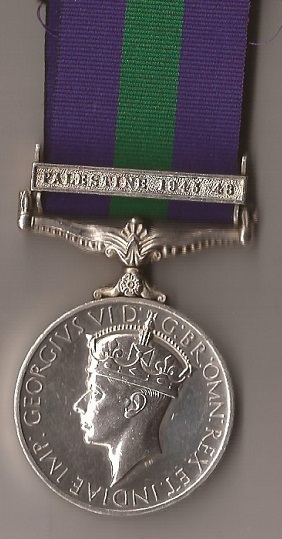 General Service Medal Palestine 4608099. PTE. T. SMITH. R.A.M.C. Army Long Service Good Conduct Medal (GVI Brit.Om) 4608099. SJT. T. SMITH. R.A.M.C. Copy medal roll for Palestine shows that he served with 7 General Hospital. India General Service Medal Waziristan 1921-24 / North West Frontier 1930-31 2309488 SGLN. J. GILDEA. R. SIGNALS. Copy research. John Gildea was born 21 January 1901 in Sligo, Ireland. He enlisted 16 December 1919 into the Royal Munster Fusiliers but transferred in January 1920 to the Royal Engineers. He then transferred to the Royal Signals in November 1920. Posted to 2 Wireless Signal Squadron, Rawalpindi, India in March 1921. Returned to the UK April 1934. Discharged 5 October 1934. He re-enlisted 28 July 1939 and went to India in the Summer of 1942, serving at the Signals Training Centre, Mhow, then Peshawar District Signals, North Western Signals and finally 5 Indian Line of Communications. Returned to the UK September 1945 and was discharged 8 December 1945. India General Service Medal North West Frontier 1935 2321246 SGLN. W.H. LOWE. R. SIGNALS. India General Service Medal North West Frontier 1936-37/North West Frontier 1937-39 2321246 SGLN. W.H. LOWE. R. SIGNALS. Copy rolls confirm medals and clasps. Last roll states "Discharged 383(XVI) 5.8.40" (unfit for further service). William Henry Lowe was born 11 October 1910 in New Hantley, Northumberland. Enlisted 31 January 1931 and went to India in December 1933. Served with "A" Corps Signals, Rawalpindi. Left India December 1938. To Army Reserve March 1939. Mobilized 12 August 1939 but medically discharged 5 August 1940. General Service Medal (QEII) Malaya 22208797 SGT. G.H. CORNEY. 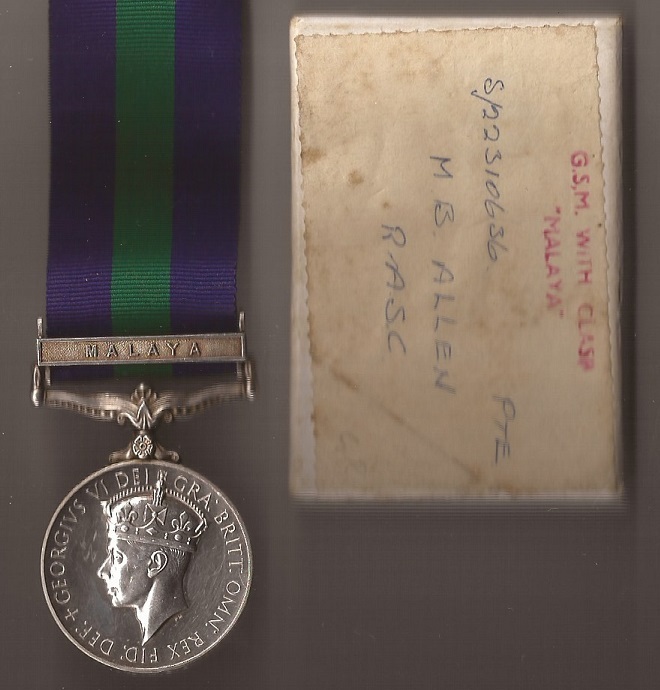 R.A.
Army Long Service Good Conduct Medal (GVI. Brit.Om) 22208797 SGT. G.H. CORNEY. R.A.
Albert Samuel Freeman enlisted in 1937. Transferred to Royal Engineers in February 1945. Copy medal roll. Served with 659 Artisan Works Company. Copy medal roll. Served in Palestine attached to 3rd Field Ambulance, RAMC from November 1946 to October 1947. General Service Medal (QEII) Borneo / Malaya Peninsula 23945789 PTE. H. WALKER. RAMC. 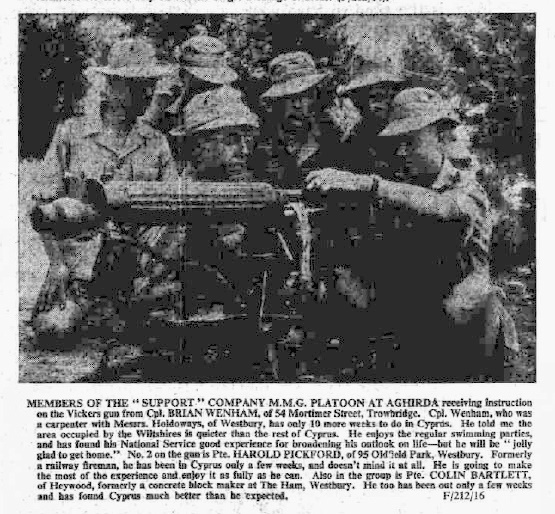 The Lancashire Fusiliers served in Cyprus 1956 to 1959. General Service Medal Near East / Cyprus 19054485 SGT. G.A. GOLDING. R.E.M.E. General Service Medal Northern Ireland CAPT. G.A. GOLDING. RAEC. Long Service Good Conduct Medal Regular Army LT. G.A. GOLDING. RAEC. Mounted as worn. Copy research. Gerald Alan Golding was born 1931 in Liverpool. Served with the Royal Electrical and Mechanical Engineers. Commissioned from Warrant Officer II (REME) to Lieutenant, Royal Army Educational Corps 4 August 1969. Captain 4 August 1971. Awarded Long Service Good Conduct Medal, London Gazette 6 June 1972. He died 7 March 2014. His obituary (Liverpool Echo 10 April 2014) "Gerry was in the REME and, once commissioned, the RAEC serving many years with the Parachute Regiment. Gerry was a highly skilled craftsman in wood and metal, a boat builder and artist."